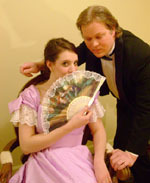 Vex Presents "Lady Windermere's Fan"
This show was presented April 18-27, 2008 at the lovely Elgin Art Showcase. 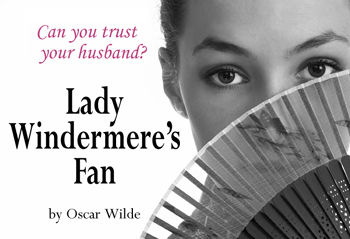 Oscar Wilde expertly blends comedy and drama in this tale of a young wife whose trust in her husband is shattered by his secretive involvement with a mysterious widow. Will she have faith in the man she loves, or be driven into the arms of another man? In a society obsessed with scandal, one false step could cost her everything.